These best Las Vegas wedding chapels are all-inclusive, offer exceptional theme and traditional wedding packages and receptions and are all located conveniently on or near the Strip. Most chapels offer vow renewal, come offer Elvis impersonators and drive through weddings, but they aren't created equal! All so gorgeous, but so different. In Las Vegas there are free standing chapels and chapels located inside major hotels and casinos. Some specialize in theme weddings, others in outdoor. Some offer fast drive-through weddings where you can exchange your vows without leaving a car. Others will take you to the Grand Canyon on board of a helicopter where you can say "I do" in the most majestic place in the world. Yet others will marry you on a beautiful lake or inside a gorgeous gazebo. 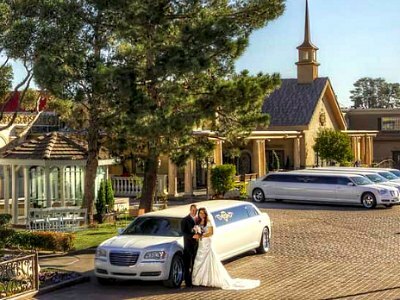 Read below my reviews of the most beautiful and versatile wedding chapels in Las Vegas. Review: A Special Memory is one of the best traditional best wedding chapels in Las Vegas. 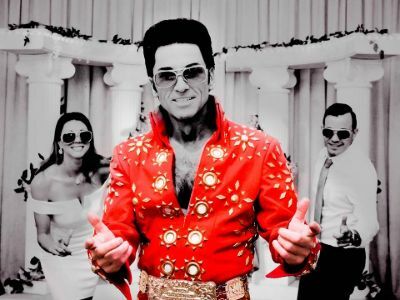 Apart from traditional weddings, they offer 3 Elvis themes, but they are less over-the-top than the above-reviewed Viva. A Special Memory organizes the very popular wedding packages in gorgeous Valley Of Fire where you can get married surrounded by "statues" created by nature. They can also arrange weddings in the Grand Canyon, in Valley of Fire or in the Red Rock Canyon. A Special Memory is also one of the few Vegas chapels that does the famous drive-through weddings where you can tie the knot without leaving the car. Choose A Special Memory if you want a traditional wedding! Current Las Vegas Hotel Deals - Stay For Less! Review: A Storybook, or Graceland is one of the oldest and most famous best wedding chapels in Las Vegas. If you are still confused about the two names - it's the same chapel. Graceland is a beautiful and tranquil chapel that holds the status of a landmark in Las Vegas. While some people (including myself) think that Graceland chapel received it's name after Elvis Presley married here Priscilla Beaulieu and allowed them to use the name "Graceland" after his mansion, that is not true. As the chapel's General Manager kindly e-mailed me, Elvis visited this chapel twice in 1967, when it's original name still was "Gretna Green". The name was changed to "Graceland" after Elvis' visit, with his blessing. Many celebrity weddings also took place in this little chapel: Jon Bon Jovi, Def Lepard and many others. Graceland is perhaps the most romantic of all wedding chapels in Las Vegas. They do not offer the extravagant "theme" weddings of Viva or A Special Memory, but rather concentrate on two kinds of weddings - traditional and Elvis ceremonies. The owner of the chapel is also its resident Elvis impersonator! If you are looking for a romantic setting for your wedding, this is the place! Choose A Storybook if you want a romantic wedding! Review: Chapel Of The Flowers has been praised all over the world and is dubbed the best and prettiest wedding chapel in Las Vegas. It has three beautifully decorated indoor chapels: The Victorian, The Magnolia, and La Capella. What sets Chapel Of The Flowers apart from other Vegas wedding chapels is its adherence to classic weddings - exquisite, and without any pompousness. This is the kind of a wedding you might expect to see in your own city - stylish, classy and elegant. 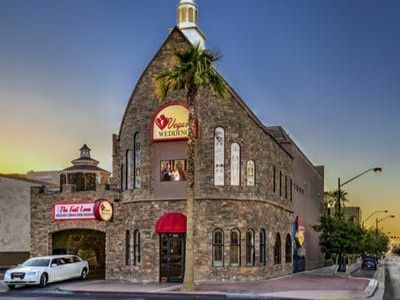 Reviews: Opened in 1940, Wee Kirk O' the Heather is the oldest of the best wedding chapels in Las Vegas. Recently redecorated, the chapel continues to stand the test of time and marry happy couples. Wee Kirk O' The Heather, which stands for Little Chapel of the Lucky Flowers, is a small, intimate and charming chapel. Apart from the traditional ceremonies inside the chapel, they offer 6 fun Elvis packages, and can arrange a wedding in any of the top locations around the city - the Grand Canyon, Valley of Fire, or the Red Rock Canyon. Choose Wee Kirk O' the Heather if you want a beautiful intimate wedding! Review: Let not the location fool you - the chapel looks much nicer inside than outside. 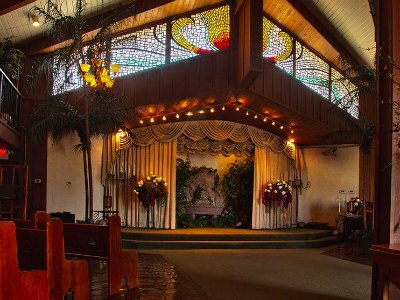 Besides, The Elvis Chapel is one of the cheapest best wedding chapels in Las Vegas. 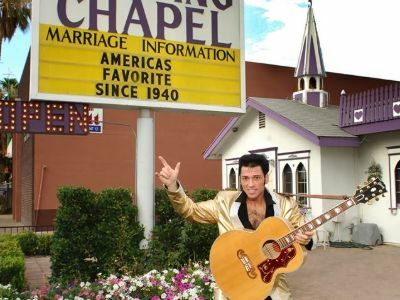 Would you be surprised if I told you that The Elvis Chapel specializes in Elvis weddings?! In addition to those, they also offer several traditional packages and can arrange a wedding at the Grand Canyon, in the Ghost Town or in the Red Rock Canyon. And for budget-conscious couples, they can arrange a Desk Wedding for mere $30! While they do not offer as many different packages as other fun chapels reviewed above (Viva and A Storybook, for example), they do it with charm and lots of laughter. According to many reviews, their Elvis impersonator has a really fun im..personality! 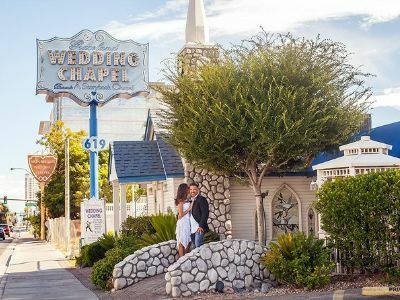 Review: A Little White Chapel is one of the cutest, beautifully decorated wedding chapels in Las Vegas. In fact, they have four pretty chapels: Little White, Promises, L'Amour, and Crystal. Plus, there is a very cute outdoor gazebo. 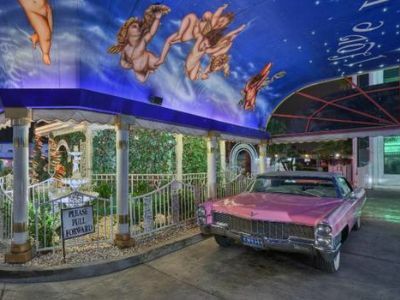 And the fun part is that the Vegas' popular drive through weddings here are done through a Tunnel Of Love, beautifully decorated with Cherubs and stars. 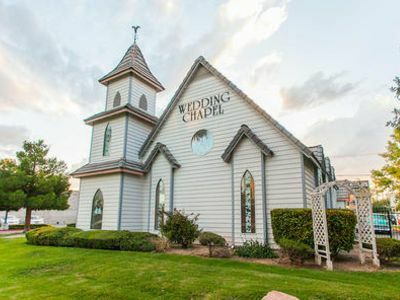 While A Little White Chapel does all the traditional and simple Elvis weddings found everywhere else, there are two interesting packages that set them apart from other Las Vegas chapels. One is a Hummer Experience seating up to 10 guests. The other is customized Weddings on Wheels - they will come to any place of your choice within the city's limits! Review: Las Vegas Weddings is one of the coolest best wedding chapels in Las Vegas! It has been continuously winning multiple awards from US Weekly and the Las Vegas Chamber of Commerce. It's gorgeous both inside and outside. What I like about this chapel is the real live broadcast over the internet from their several locations! You can really see what's going on there right here, right now - simply go to the website and click on "Live". Imagine that - if you pick this location, I might actually be looking at YOUR wedding live! Among its properties are - The Wedding Chapel - large and elegant; The Wedding Suite - small and intimate; an outside Gazebo; The Casino Wedding Chapel that looks like a casino, The Wedding Garden which is an indoor garden; and Hawaiian Gardens which is an outdoor garden. And there is also a Fast Lane for drive through weddings. And, like most other Vegas chapels reviewed above, they do traditional weddings, and ceremonies in the Grand Canyon and Valley of Fire. Review: Mon Bel Ami is the most romantic and intimate among the best wedding chapels in Las Vegas. They specialize in receptions and intimate indoor, outdoor (Le PaviLlion) and gazebo weddings. If you are looking for an unusual wedding in Vegas, they offer a couple of very interesting packages: Butterfly Release and White Dove Weddings. Review: According to hundreds of happy reviews, the guys at Viva Las Vegas take the art of wedding-making very seriously. 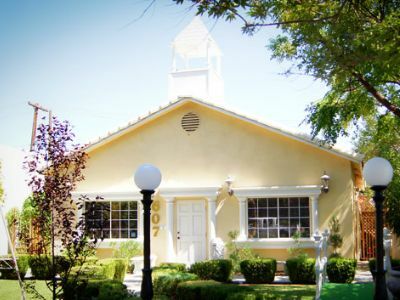 This is the most versatile among all Las Vegas chapels - the number of wedding packages they offer is astounding. Nevertheless, the ceremonies run very smoothly from customer service to coordination to the ceremony itself. And despite the high demand, they manage to make your wedding really special. The chapel is modern-looking, very pretty both inside and outside, and full of glitz and glamour. They are equipped for pretty much every type of wedding you might have in mind - indoor traditional wedding, an elegant ceremony in a beautiful outside gazebo, a nighttime garden ceremony. If you are more adventurous, Viva offers weddings in the Grand Canyon, in the Red Rock Canyon, and even a helicopter flight over the Strip at night! At least 34 of other fun "themes" - from Egyptian to medieval Camelot to half-naked fun Beach wedding, to weddings themed Alice Cooper.